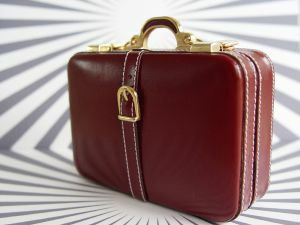 To stand any chance of winning any one of our fantastic cash prizes, simply craft a story around this suitcase and use your creative skills to conjure up an imaginative and excitingly written original work of fiction. We prefer entries to be made by email to info@creative-competitor.co.uk. Please paste within the body of the email and ensure that you put the competition title in the subject line. All submissions must be supported by the correct entry fee, Premier1 members can enter any or all of our writing competitions for free. Please note: It can take some time for us to complete the judging process so entry implies acceptance to this rule. Cheque payments can be made in euros to Annette Young but we prefer payment via PayPal where possible.